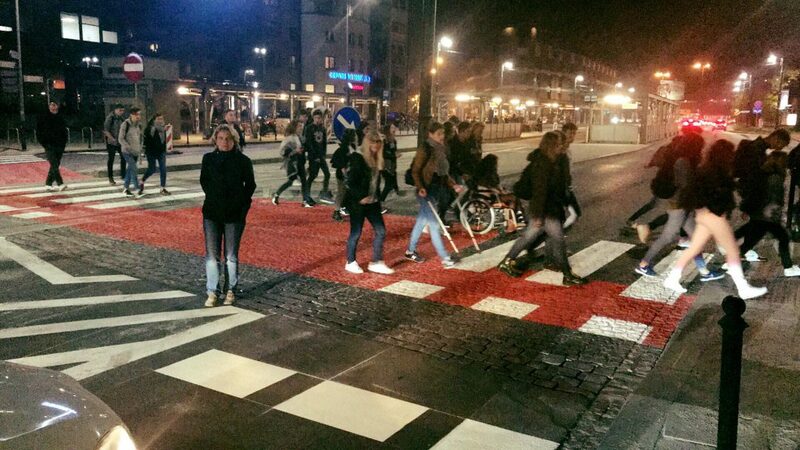 ZIKiT have installed two new street crossings for pedestrians and cyclists in the past few days, following local public campaigns. The first by Jubilat and Dębnicki Bridge at the junctions of al. Krasińskiego, Zwierzyniecka and Kościuszki, where a previous street crossing had been removed years ago, leaving pedestrians to have to walk a distance to safely and legally cross using the existing underpass. 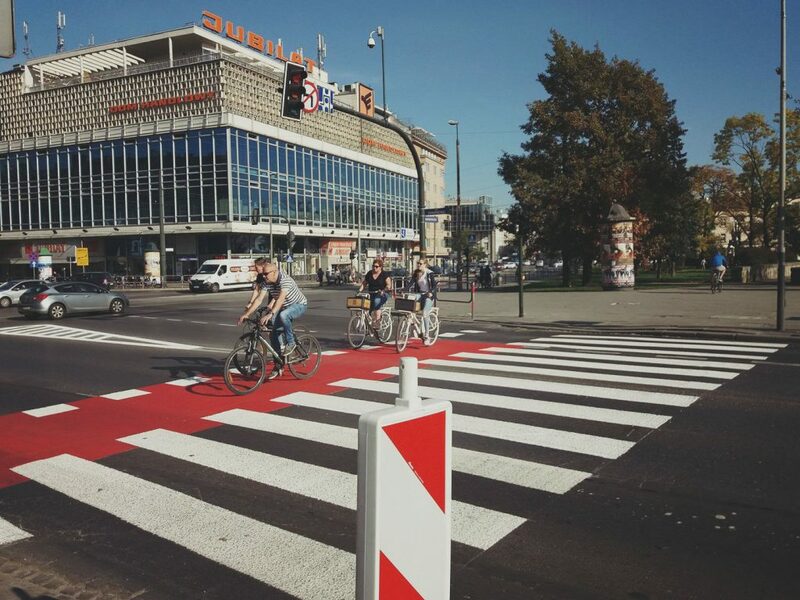 The new crossing will also help, the less able, disabled, elderly, parents with prams to reach the tram stop which was difficult to reach across the busy main road on Kościuszki. The second crossing is at Plac Bohaterów Getta, where previously many tourists and locals alike were often seen crossing over the road, at risk of being struck by a car or tram or fined for jaywalking, to the tram stop or on the route to Schindlers factory either unaware of or too lazy to use the underpass. Residents had complained that the elevators provided at the underpass were often broken, making it difficult for disabled, elderly and others to use the underpass. ‘Open Kraków’ Programme awakes from it’s slumber!